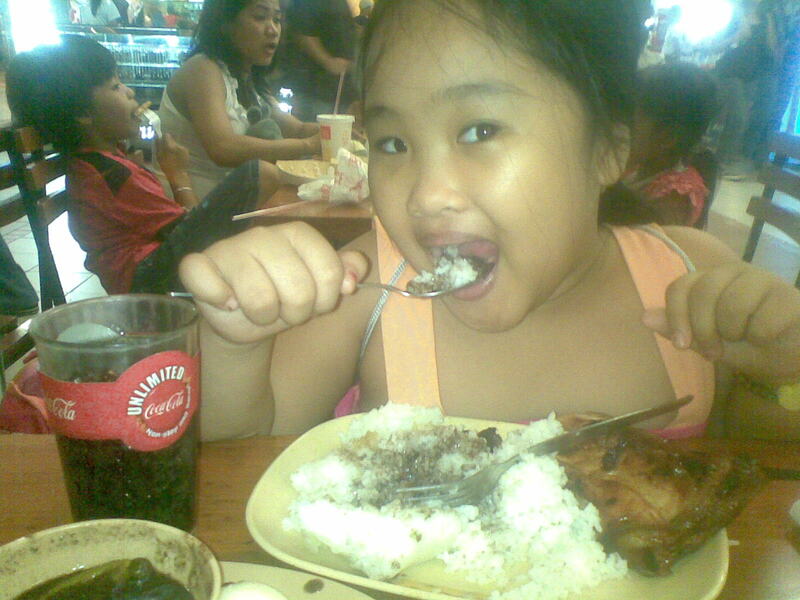 All of us in the family like Mang Inasal are attracted to Mang Inasal's unlimited rice and soup promo aside from its affordable Mang Inasal barbecued chicken and other treats. We are all hefty eaters and of course, we love steaming rice to go with it. 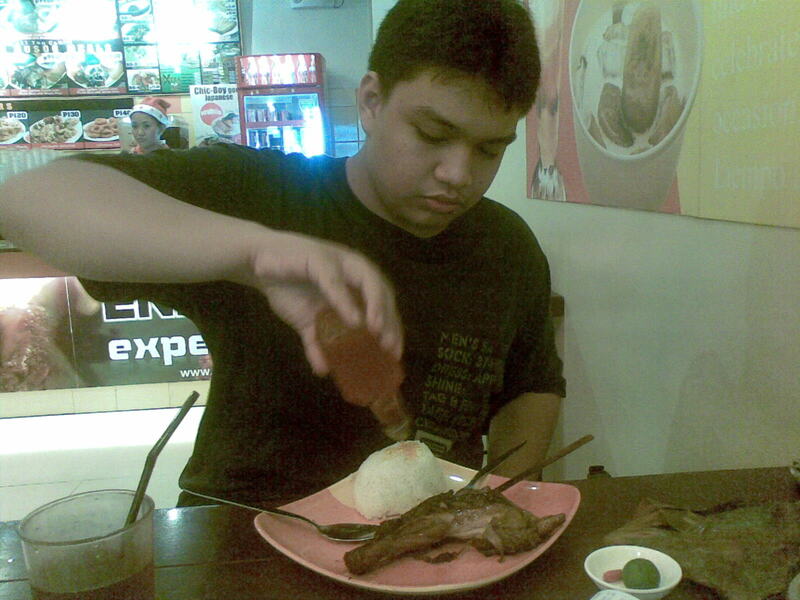 Since Inasal is the Ilonggo term for chicken barbecue, their specialty is barbecued chicken. 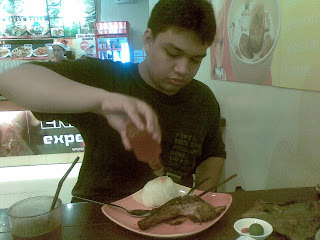 With its distinctively Filipino ambiance, anyone can eat chicken barbecue the traditional way---using bare hands. Mang Inasal wraps their food in banana leaves and uses the typical Filipino soy sauce, calamansi, vinegar with red peppers to spice up the food served. Dipping the sweet and tangy chicken in it completes the satisfying dining experience. I'm sure everyone will agree. For less than 100 pesos, Mang Inasal's Paborito Meal with all the rice we can eat is really a steal for the super-hungry team that we are. We superlove to order the barbecued chicken leg and barbecued pecho that is superbly tasty and not dry. My only complaint is that the chicken barbecue is usually charred. 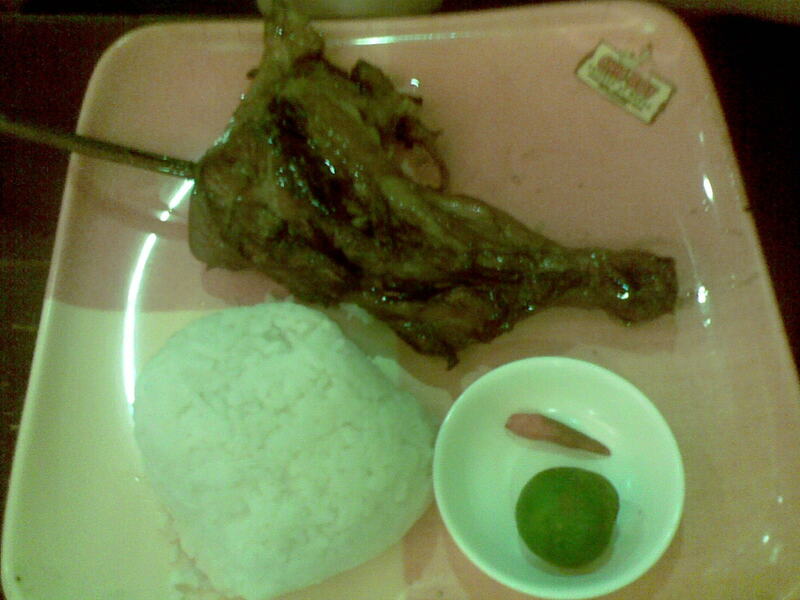 I do believe that Mang Inasal can look into ways of serving the barbecue chicken quickly without compromising its quality. 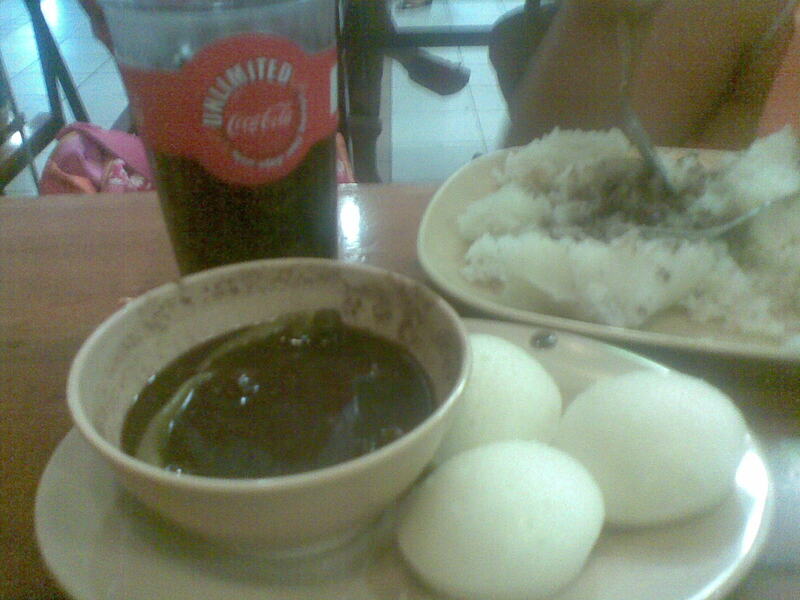 Another Mang Inasal favorite of mine is the Dinuguan with Puto. We usually order this as a side dish and my daughter loves it! Just like us, many people flock the restaurant during lunch time. There is oftem a long queue of people waiting for their turn to eat Mang Inasal's tender meat.